Sitting pretty in the spot that used to be Comet Pizza, you can’t miss the pale blue wall and evil eye looking out over William Street. Once you’re done swooning over those tiles on the bar, grab a seat outside and enjoy some of the best people watching in town while you peruse the glorious menu. The food offering satisfies all the cravings from light tapas to a hearty Spanish meal. 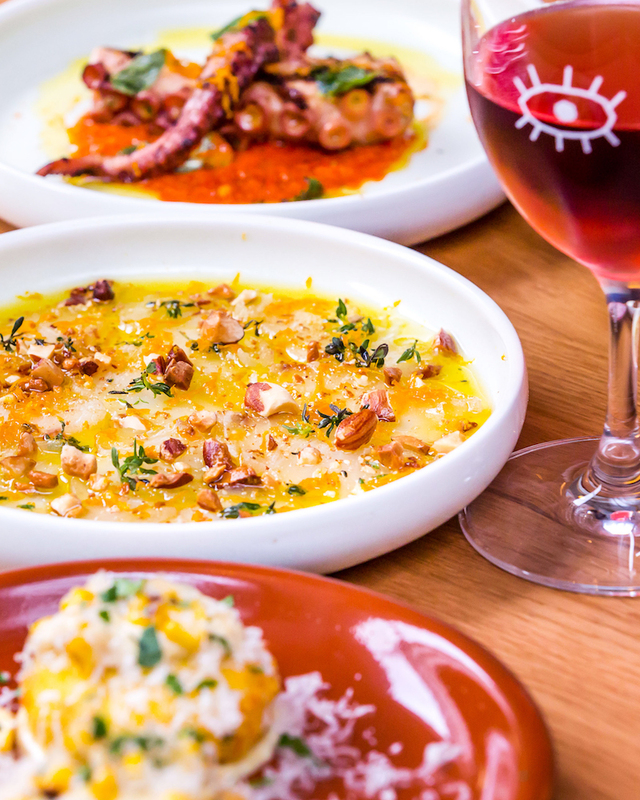 The fresh seafood screams coastal Spain but with a unique Los Bravos twist. The 48-hour cured and salted Spanish mackerel from Shark Bay topped with almond, citrus and fresh olive oil is one of the best dishes we’ve eaten in a long while, so go ahead and order two why don’t you. 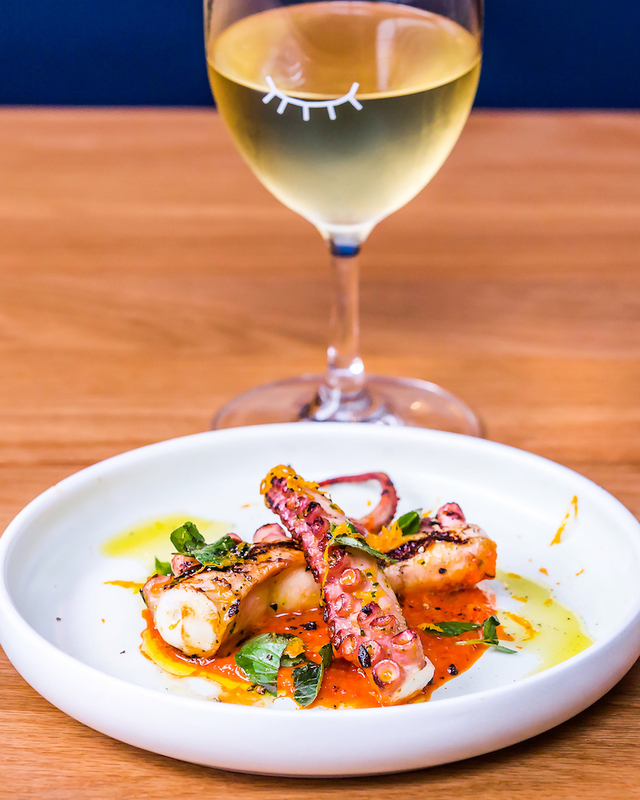 The charred Fremantle octopus topped with traditional Mojo Pico sauce is also a winner—tender and juicy and full of flavour, it’s everything occie should be. For the vego foodies out there, you can’t go past the Manchego cheese croquettes with sweet corn aioli or the roast mushrooms topped with Valdeon blue cheese and caramel; remember to save some bread to mop up the sauce from this dish, otherwise you will be licking the plate clean. While we’re on the subject of bread, did we mention the guys at Los Bravos get their butter from a local Perth lady who is whipping up some of the best we’ve ever eaten? If your mouth isn’t watering enough already, Los Bravos prides themselves on their made-to-order paella. It’s a bit bigger than everything else on the menu, so it’s ideal for groups or if you’re feeling something a bit more substantial. While it may not be instant, the beauty of this bespoke dish is that it’s served and made fresh in the pan just for you. Drinks-wise, the wine list is decorated with all kinds of Spanish varieties plus plenty of sherry; yes, it’s making a comeback people. If you’re up for something a bit different, we’d recommend the ‘Tremendus’ Viura & Grenache, a red and white mix from Rioja, Spain which is unlike anything else we've tasted. They've also got Moritz beer on tap and are only stocking canned beers to reduce their environmental impact, which we love. If you’re a cocktail kinda person, you’ll have fun with this menu. 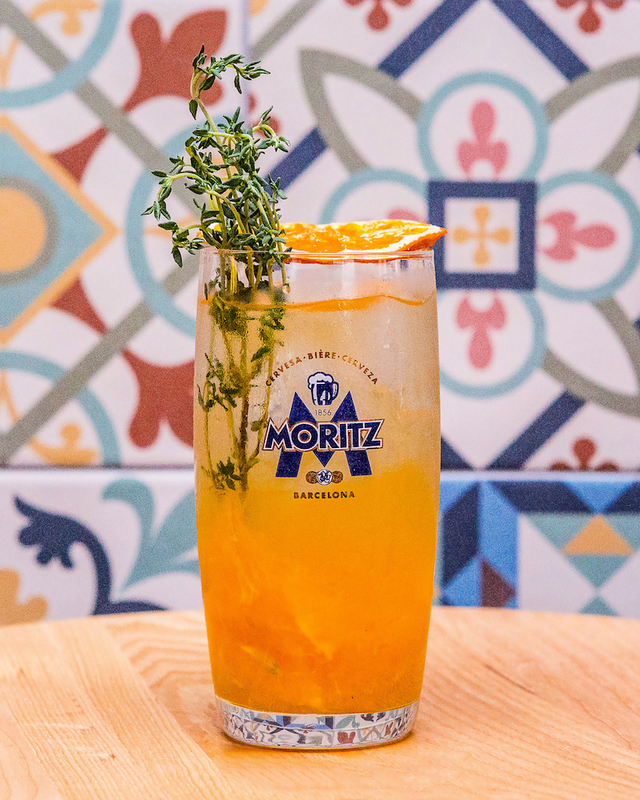 Think classics with a twist and plenty of Spanish vermouth and sherry. 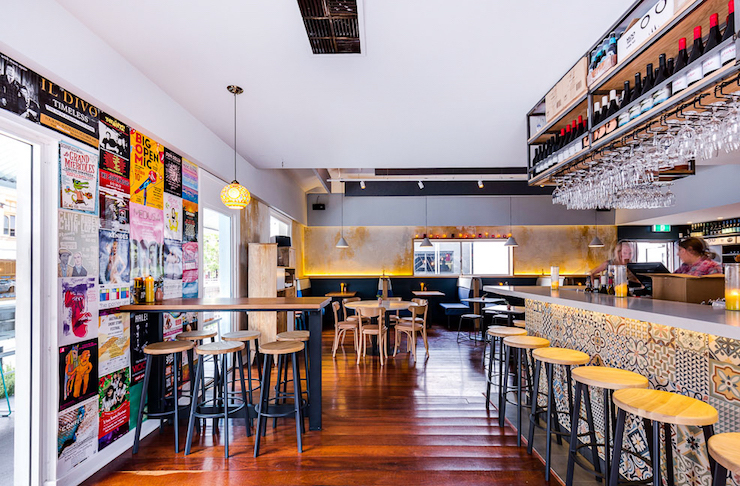 At the end of the day, there’s nothing quite like Los Bravos in Northbridge, from the freshly decorated space and their on-site garden to the delicious food and the fresh drinks, we can’t fault this place on anything. Oh, and we haven’t even shared the best part yet—it’s dog friendly.